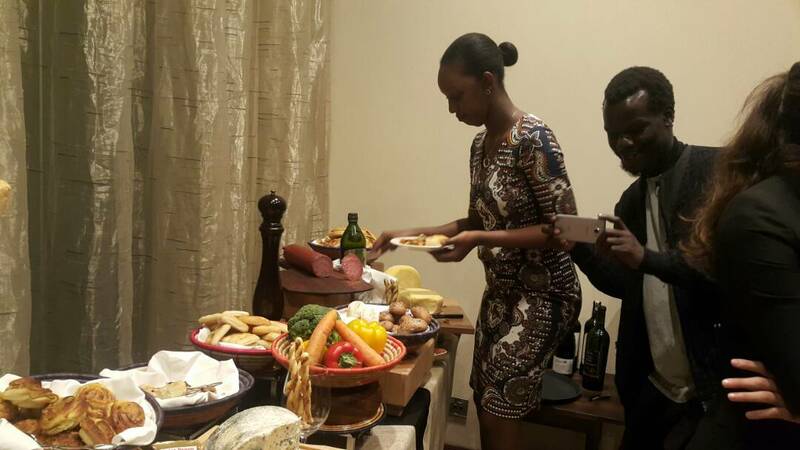 Rwandans with a good taste for wine or those who want to learn the wine culture are now catered for. 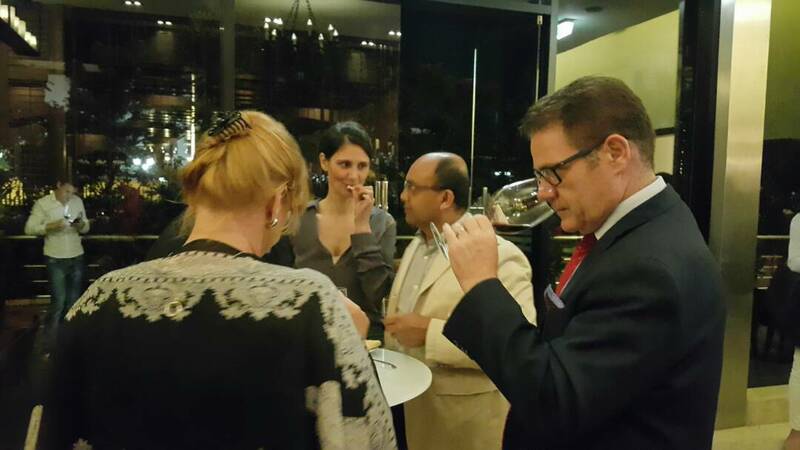 The first free wine tasting event was officially launched on February 22nd in Kigali with over 14 different wines imported from France, Chile, Italy tabled for clients including ambassadors, CEO and socialites. 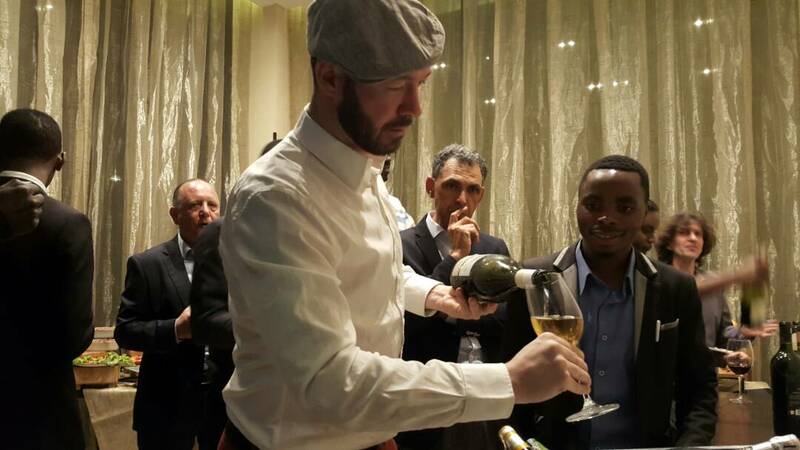 At Kigali Marriott Hotel, the event was hosted by Gil Cheviron a visiting French sommelier who has conducted trainings for local Rwanda hotel wine waiters preparing for the event which is set to be monthly. “The first event has been very successful and we are announcing that every month the public will enjoy wine free of charge,” said Simon Hudson the Director of Food and Beverages at Marriot Hotel Kigali. Wine taking is said to have some health benefits besides one getting tips at the end of the night. For example, white wine contains antioxidants that attack free radicals that cause terrible health problems such as cancer. Drinking a glass of wine daily is said to give your immune system a boost- when you are not taking daily vitamins. However wine experts like Cheviron say that you have to know how wine is drunk and one top tip is that you shake the wine in the glass before you drink, and also smell it. “Different factors of where a wine is made impact on the taste. For example, the temperature strongly influences the taste of the wine; those made in drier climates are smoother in taste, while the opposite is true for wines from colder areas such as France,” Cheviron said. Wine drinkers warn that it’s dangerous to take wine without food close to you. In this respect, wines that were on display came with the hotel’s chef’s Antipasti selection to accompany the evening. Antipasti is typically the first course in Italian dinners.- a blend of salads, meat, and cheeses, tomatoes and all sorts of greens vegetables you can imagine. However, this is not the only event that will mark this week. 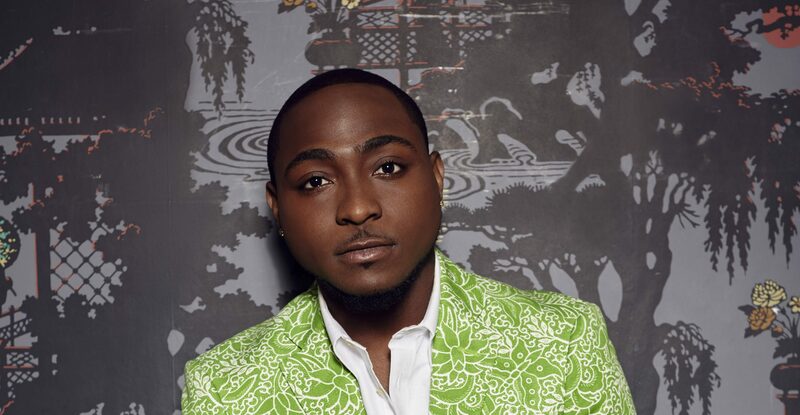 Sony Records scouts are in Rwanda alongside Nigerian singer Davido (David Adedeji Adeleke). Their plan is to scout for serious music talent to sign record deals with. According to the local organizing teams, working with Sony officials, the record will sign as many artists as possible ranging from music recording, CD labels and distribution, and song writing deals among others. Local artists in the spotlight so far include: Charly and Nina who recently parted ways with the manager Alex Muyoboke – possibly after smelling links to the coming of Sony records. Riderman, King James, Jules Sentore, Aline Sano, Bruce Melody and many more others who have already created a good local audience and performance. The choice of who will sign the record deals is unlimited but few will be selected after evaluating their performance, collecting views from the fans and local media,” said Judo Kanobano, a Music and Events promoter with Positive Productions who is working with Sony records. The company has signed more than 45 famous artists like Michael Jackson, Beyoncé Shakira, Mariah Carey, Britney Spears, Celine Dion Enrique Iglesias, Chris Brown, Rick Ross, T-Pain and George Michael among others in Africa like Davido, Dbanj. The record is on it Africa tour (in six countries) and they started with Rwanda and will head to other African nation this march. The other countries include: Congo Brazzaville, and Congo Kinshasa, Cameroon, Niger, Senegal. Dancing is something that everyone can do but this can only become a talent once you show it off. Some of you could have missed out on the recent street dance talent show which was won by “The Finest” in Rubavu district on February 17, 2018. However, more chance is here. Kigali based Zag Nuts Club in conjunction with Kigali’s top DeeJays will this Sunday, February 25 offer free participation for any youth who has talent in dance and wants to go pro. At the end of the day, they will walk away with several awards and a message that is aimed at educating youth against drug abuse, early child pregnancies among other messages.